Make your singing better. Starting now. 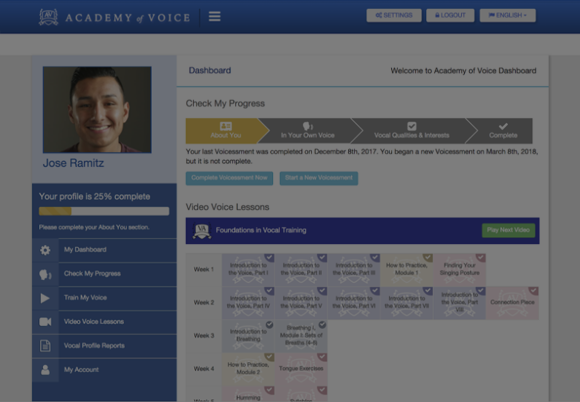 Over 10,000 people are using Academy of Voice to test, improve, and strengthen their voice. Don’t stay limited. 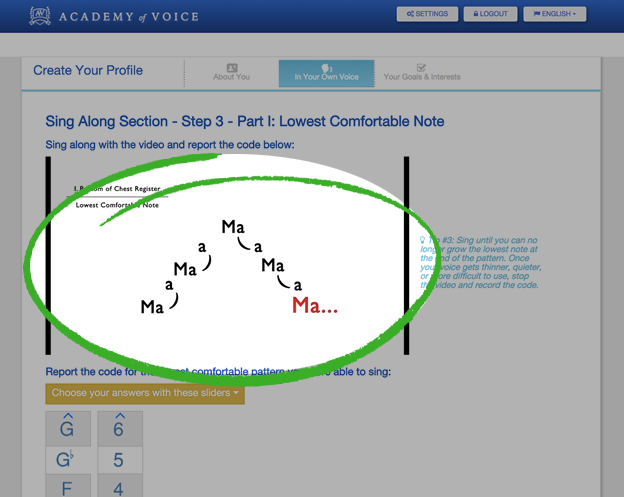 Measure your range with our Vocal Profiler and get your baseline. 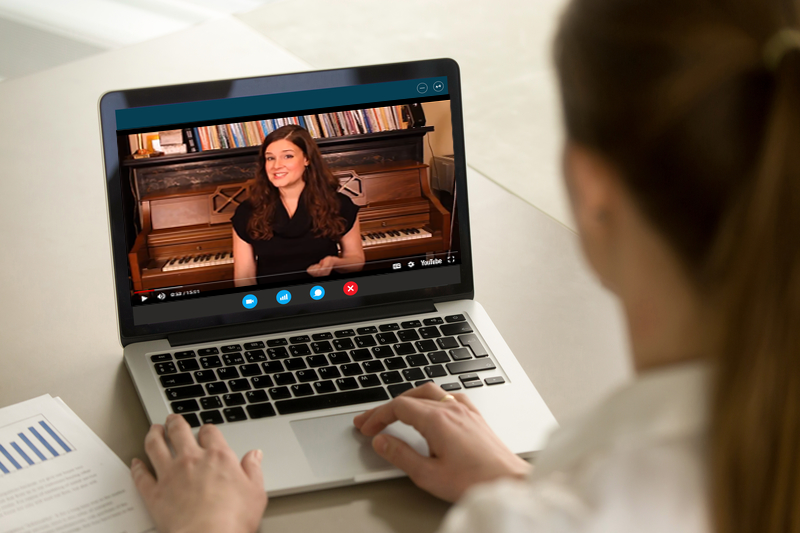 Then, train with convenient video voice lessons and the personalized VTrain practice app to expand your high notes, low notes, belt and falsetto. Stop singing on empty, falling flat, and feeling weak and timid. 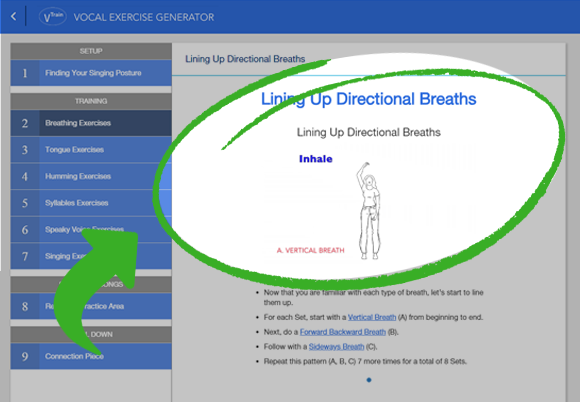 Develop your breathing muscles - With more air, your songs will be easier, tuning better, and your body more relaxed. Powerful, fast results with just 5 minutes of practice each day. Strengthen and intensify your voice to eliminate any areas of weakness or breathiness. Learn exactly how to adduct your vocal cords and practice healthy adduction in your training sessions. Feel how easy and healthy it can be to produce more sound without wear and tear on your vocal cords. We all hit roadblocks in our vocal journey, and online coaching at the level you select (up to unlimited) lets you get over anything standing in your way. 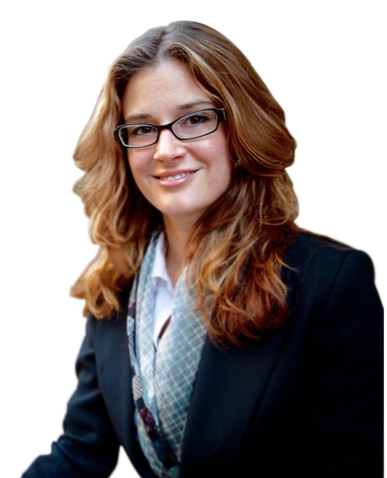 You’ll get access to both one on one and group coaching. 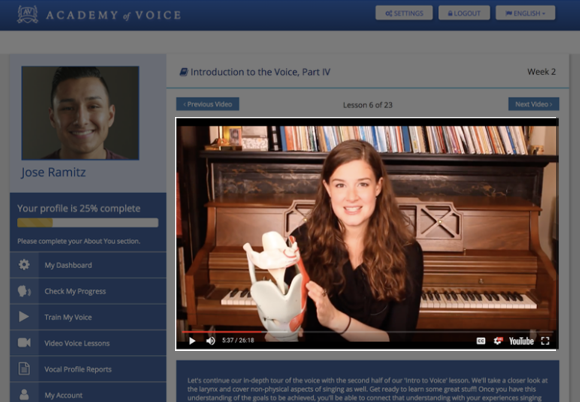 With Video Voice Lessons, Personal Coaching, Group Calls, Vocal Profile Reports, and a Vocal Training App, we’ve included everything you need to get started today and make your voice gorgeous, using all of our online tools, at your own pace. Join your fellow members to go over your wins and challenges, and create the perfect voice together. Built for beginners to experts. Access anytime, anywhere, from any device. Works great on both desktops and mobile. Online chat support available from every page. 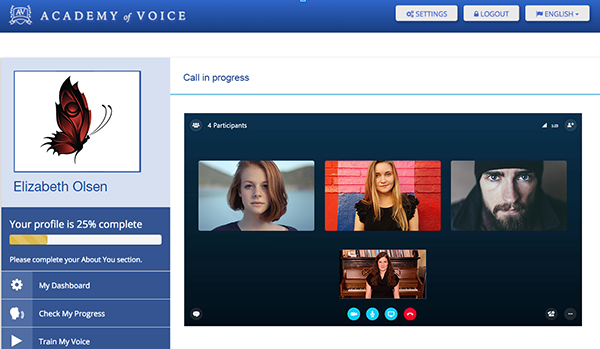 Get up to unlimited Vocal Profile Reports. Start at any level, powerful as you improve.